There are many ways to keep you and your home safe in the event of a loss. From a thorough review of your existing policies to a custom package, we have all of your property insurance needs covered. 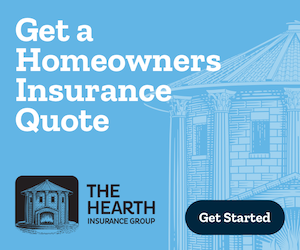 Homeowners– Provides coverage for damages to your home or possessions. It also includes liability coverage if someone were to get injured in your home. Renters Insurance– Protects the possessions of the policyholder. It also provides liability coverage at the property. Rental Dwelling (Dwelling Fire) – Also known as “landlord insurance”. Coverage for damage to the property as well as for liability. Loss of rent and vandalism coverage can also be included. High-Value Homes– Covers homes that are of a higher value than standard homes. Provides additional coverage that may not be available in a standard homeowner’s policy. Personal Articles Floaters– Covers the policyholder’s valuables in an scheduled or blanket form. Worldwide coverage can be included. Flood– Covers damage to a home as a result of a flood as defined by the National Flood Program which states that a flood is a general and temporary condition where two or more acres of normally dry land or two or more properties are inundated by water or mudflow. Wind Coverage– Special type of property insurance that covers damage to a home from windstorms.